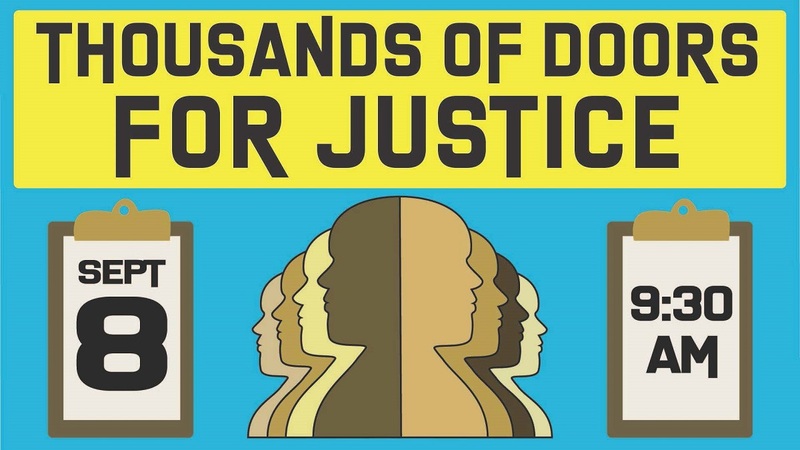 You may receive updates from Thousands of Doors for Justice, the sponsor of this form. Thousands of Doors - Day of Action- Sign Up! We have a new site! Please use this link to be redirected to the statewide TDJ site where you will find all of the locations and details. For Good Jobs-Fair Wages; Access to Quality Public Education; A Vibrant & Fairly Funded Public Sector; Racial, Gender and Immigrant Justice; Disability Rights; Democracy in our State & in Our Work Places; Healthy Communities & Environmental Justice. Get on the list for updates, locations and actions across the state. RSVP today!